As more facts come out about the school shooting in Florida, it's more clear than ever that we need more guns in the hands of good people whether they carry a badge or not. Again, the point is to highlight this officer's courage, but it serves to make another couple of points. Thursday evening, the Broward County Sheriff announced that one of his deputies, an armed school resource officer, stayed outside of the building as the shooter went on his rampage. Today, the same department had to acknowledge that none of their deputies entered the building during the shooting. Instead, they were positioned outside of the building. Broward County Sheriff’s Deputy Scot Peterson, the armed school resource officer, resigned. The controversy is far from over. Since Columbine, all police departments drill for school shootings. School shooters choose schools because they're opposition-free environments. Put up some serious resistance, especially shooting at them, and they either suicide or surrender. Innocent folks stop dying. Broward deputies decided their own safety was more important than protecting and serving. People have already begun calling them Coward deputies. Even in the best situations, police officers will repeat the old saw, "When seconds count, police are only minutes away." This is especially true for school shooters. The more quickly anyone responds with force, the fewer innocent people die. It turns out you can't count on some police officers to respond at all. We need more Coral Springs PD officers and fewer Coward deputies. However, since we can't depend on all of them, we have to be able to defend ourselves. 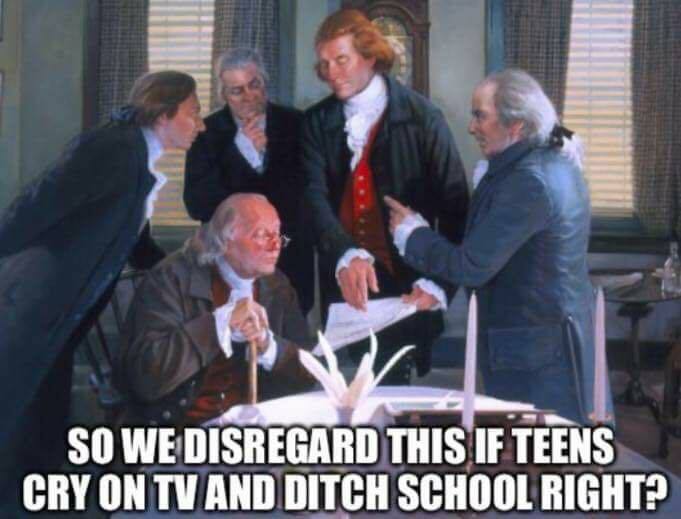 Many leftists have screamed about how bad an idea it is to arm teachers. My previous post included a story about a Texas district where they do just that. In addition, I'd forgotten this extensive post by firearms instructor-turned-author Larry Correia. The part I'm highlighting is that there are hundreds of teachers in Utah's schools who are armed and ready to protect kids. A tremendous of number of police officers are incredible people who would give their lives for you without hesitation. Sometimes they're too far away. Sometimes the closest one isn't quite that brave. So we have to help take responsibility for our own safety. That's scarier and more mature than assuming someone will come save us. It's also reality. Possibly penultimate. We shall see. 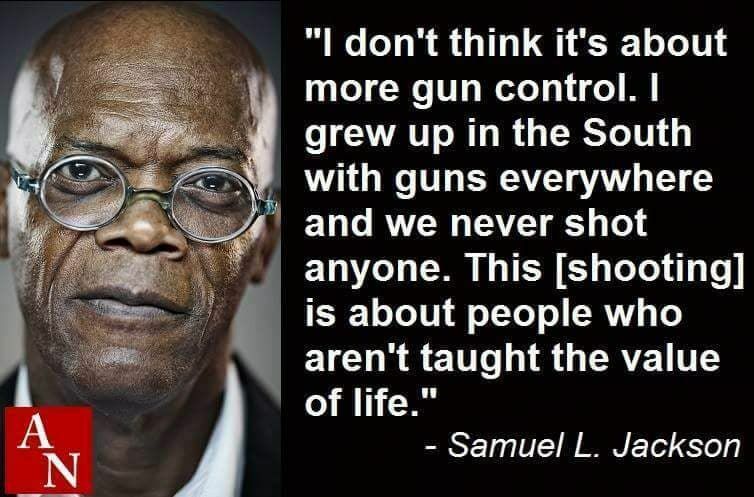 This week brought a lot of gun control talk. One person said I'd never convince her. I didn't. I did come up with the analogy of Leg Day, however. Gun control is leg day in this analogy. This person suggested we need a comprehensive approach, including more gun control, because many factors contribute to mass shootings. That's true. My point is that we already have the reasonable gun control in place, yet politicians and the news are hollering for more to the exclusion of anything else. So we ask the UK and they say leg day is all you need, just tell everyone you can do pull ups. Gun crime 60pc higher than official figures Woops. 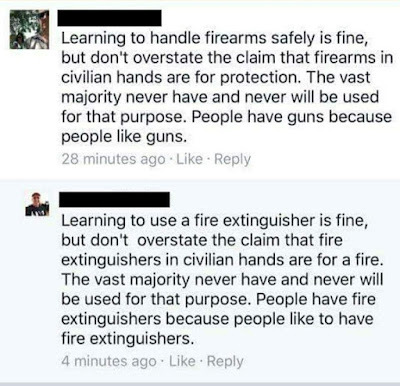 But lying doesn't actually keep people from getting shot. Maybe that's not our answer. Meanwhile, even huge fans of leg day are doing research and saying, "You know, more leg day might not get us there. Maybe we should focus on other things." I used to think gun control was the answer. My research told me otherwise. Here's my prior post on that one in case the Washington Post ever takes the original article down. So, those of us who have been paying attention for years are saying, "Leg day should be about lean, strong muscle that helps with cardiovascular health. We actually need slimmer leg muscles. Let's hit the stationary bike as part of an overall solution to strengthen our upper body and get rid of the unnecessary weight on our legs." Meanwhile, the comprehensive solution including more gun control sounds to us like, "Sure, we need to do some upper body. There's more to this than legs. But we still do need to add free weight squats." In fairness, we really don't. Even some of the kids that got shot at are saying, "Enough with leg day for crying out loud." I've written about what could help prevent these shootings. 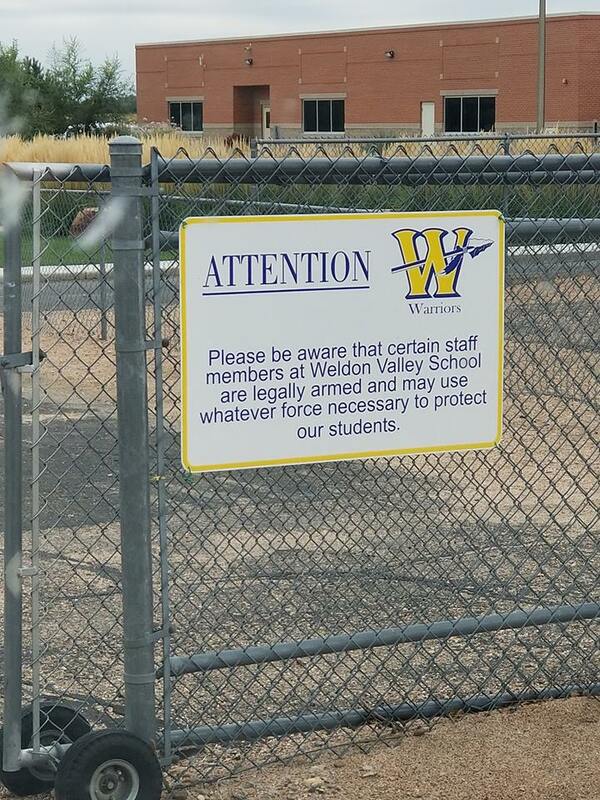 Armed guards are a great idea. Also, volunteer teachers who have already qualified to carry concealed weapons are already protecting students in some school districts. 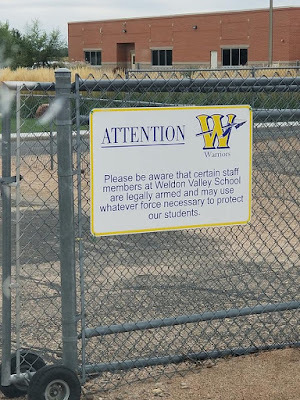 Allowing people who are already CCW holders to carry at school is a great and cheap solution. These people have already paid for their own firearms and training. How do the students feel? "I feel protected. I don't feel like they're going to threaten me in any way," said one student at Callisburg High School who didn't want to give her name. "I feel like if someone came in, I know that they're going to handle it. So I feel very protected." "I feel really safe, knowing that, I can come to school and if there's an incident that does happen that they'll be able to protect us," said the student, who also didn't want to be named. I know how that feels. The safest I've ever felt visiting a big city was with my brother, who was a CCW holder at the time and was carrying his firearm. When it comes to school shootings, shooters are looking for easy targets, and if they think they might get shot in return they tend to go somewhere else or give up entirely. More Leg Day won't do a thing to help that. 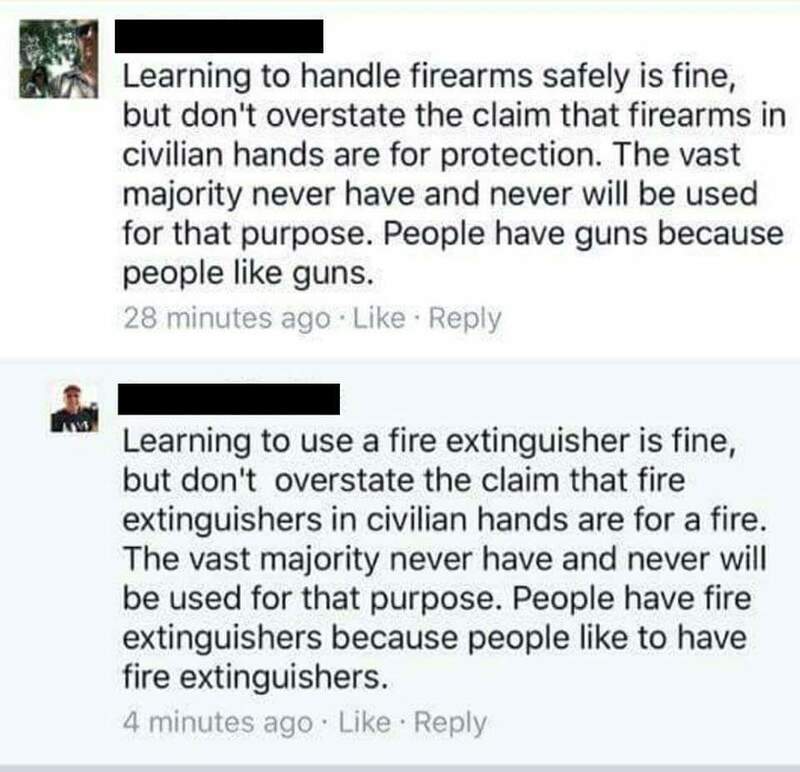 More guns in the right hands will. These discussions also generate very pithy memes. So, here are a few to enjoy. While we're quoting, Ronald Reagan gave us this gem: "We must reject the idea that every time a law's broken, society is guilty rather than the lawbreaker. It is time to restore the American precept that each individual is accountable for his actions." This last one is really important. We should never make decisions about people's rights based on emotional appeals. Doing that has done more damage to our society than nearly any other choice we've made. 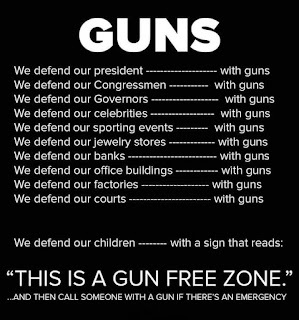 So stop it with the gun control. 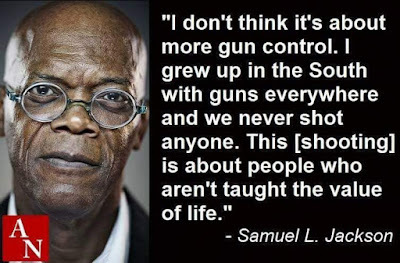 As quoted above, "There is no such thing as gun control. There is only centralizing gun ownership in the hands of a small, political elite and their minions." What if we did ban them all? 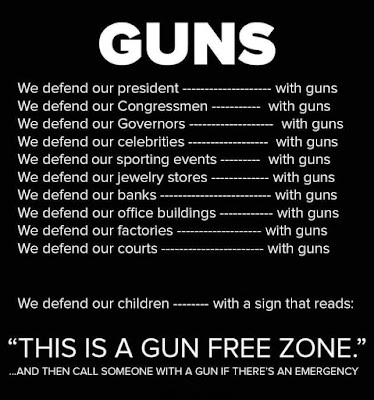 Let's say that society disregarded all of this and banned all guns. We somehow appeal the 2nd Amendment and offer a buyback program as well as a confiscation program. Good luck. Australia is often offered up as a model for this sort of ban. People don't mention that firearms homicides were already on the decline in Australia and we still don't know why (that would be really good to know). They also don't mention that the mandatory confiscation program netted a fifth to a third of privately-owned Firearms in Australia. That is, most of them are still out there. For more on that, here's a National Review article. Oh, and there's also the violent firearms black market that it created. We could have that here! Also, murder rates don't go down after gun bans. Here are some graphs for you to enjoy. 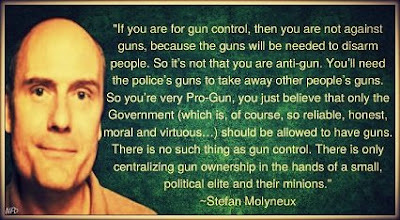 Finally, from the NR article, "There is no other way around it: The mandatory confiscation of the American citizenry’s guns would involve tens of thousands of heavily armed federal agents going door-to-door to demand of millions of Americans that they surrender their guns. That is not going to happen." No, that isn't going to happen. Especially given that a number of officers are saved by CCW holders every year. Here's just one of those stories, but you can do a web search for more. Others recognize that CCW holders are helping police even when they're not stopping an attack on an officer. So how do you convince those officers to go after the people who have saved and/or helped them? Those officers know that CCW holders are their allies and sometimes their saviors. They aren't going to disarm them at gunpoint. The worst part of the Centralizing Gun Ownership to the Political Elite and their Minions (gun control) obsession is that we're not focused on real solutions that could help. It's like focusing on vaccines as the cause of autism even after that theory was scientifically debunked (and the doctor who kicked it off admitted his lie and falsification of data). We wasted so much time and effort on the wrong thing because celebrities told us so. That has to stop, and it has to stop now. For months now, the nation has been gripped by an investigation of tremendous import. Special counsel Robert Mueller has been investigating what the Left hoped would end up in a criminal collusion case of President Trump and what the Right felt was biased nonsense. "How can an indictment be both alarming and reassuring? It’s simple. I don’t want foreign powers engaging in domestic disruption operations, and I don’t want to see domestic political campaigns cooperating with foreign foes. We have evidence of the disruption operation. We do not have evidence of collusion. "I’m alarmed by the Russian actions. The indictment alleges a long-running effort (one that included identity theft in the United States) to undermine America’s already-weak public trust and — ultimately — to take sides in an American political context. Moreover, this is but one aspect of the overall investigation into Russian disruption operations. The social media program isn’t necessarily related to Wikileaks and the email hacks, and it’s far from certain the indictment encompasses the whole even of Russian social media efforts. "But what’s alleged is bad enough. The Russians sought to generate street protests, suppress voter turnout, and spread disinformation." So, the Russians didn't care who won as long as Americans ended up hating each other worse than we ever have before. "Divide and Conquer" is a known, historically-proven method to destroy one's enemies. Americans should probably stop obliging Russians. There was another school shooting this week. In the wake of the event, we were all left asking, "What can we do to prevent this from happening again?" It turns out there are several things we can do, one of them you can do right now. What you personally can do is point 4. What would have worked in this case? 1. The FBI doing something about the credible report they received about this kid could have prevented it. Here's a story about that. CBS has chosen to name the shooter, and I wish they hadn't done that (see below). However, I will link the story to make the case. 2. Anybody in a position to help him choosing to do so could have prevented it. This is an opinion shared by students who survived. The story is here. I think the students are correct in their assertions. This kid showed all the signs of needing help and being dangerous without it. We just expelled him and didn't dig any deeper. 3. A trained, armed security guard or trained, lawfully armed citizen or staff member on site and ready to respond immediately. This is a big deal. To stop an attack that's started, the only proven, effective method is to have an immediate, armed response. Shooters either get shot, surrender or suicide (or a combination of these) on being confronted by someone else with a gun. Note that some schools are already doing this. 4. Media observing the no notoriety rules (visit nonoteriety.com and people refusing to watch or click stories that fail to observe these rules. Refuse to watch the news media reporting the shooter's name, showing anti-hero pictures of him and refuse to click links to news stories that do the same. This is a form of boycott that tells news media that you want a change in how they cover these things. Psychologists agree that giving these shooters notoriety encourages more people to do it to get the attention they want. The news media largely goes along with it, demanding human sacrifice to provide that infamy. Don't accept it. Don't accept human sacrifice as a payment to get a shooter's name, life and manifesto out there. You can make it stop and all you have to do is not watch and not click. You waste no time or money. Want to get active? Contact media you see not observing No Notoriety rules and ask them to change. For more, see this article. The WSJ also published it, but have it behind a pay wall now. Step four is the most important of all, and I am baffled by the media ignoring it. I have a truly cynical take that I hesitated to write about, but I'll provide it for the interested. If you have already gotten what you wanted out of this post, feel free to stop here. I think some media and personalities (like Jimmy Kimmel, for instance), feel keenly that we have to do something and don't realize the solution they are proposing isn't effective. For more on that assertion, see below. I fear that some media and personalities aren't quite so earnest. It falls under the "You can't be cynical enough about politicians or the media," guideline. Why the knee-jerk gun control response by the media following school shootings? There are a couple of reasons. If you can blame an inanimate object, you don't have to blame a troubled shooter, the people who should have helped him but didn't, and a media that glorifies these events for profit. 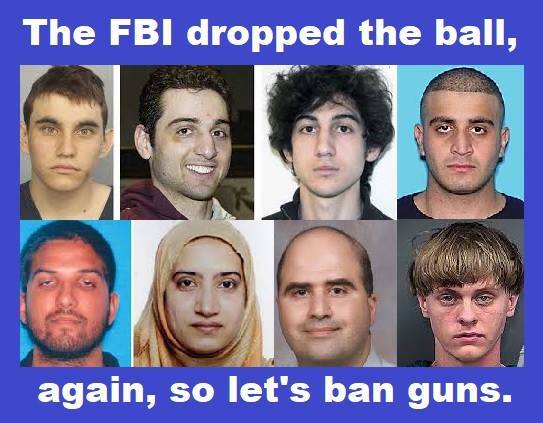 The media knows that gun control won't solve the problem (see below), but they don't want a solution. They want to sell more commercials. They are willing to exchange human blood for profit. As I said, deeply cynical. I hope that the people who truly feel this way are few and far between. But how can I not think it when we see them continuing to do things that will generate more mass shootings? Is gun control effective in stopping these events? Europe suggests not. If I thought it would work, I might even compromise my "freedom is more important than safety" position. The most deadly shooting of deliberately-targeted school-aged children happened in Norway, where there is strict gun control. Here's the New York Times story on that. France's strict gun control has not saved lives: France had more casualties from mass public shootings in 2015 than the US suffered during Obama’s entire presidency (532 to 527) Note that figures are not adjusted for population, these are raw numbers, and France is smaller than the U.S. That means that adjusted per capita, their mass public shooting casualties are sickeningly higher than ours. The truth is, we need more lawfully-armed folks willing to protect the innocent. 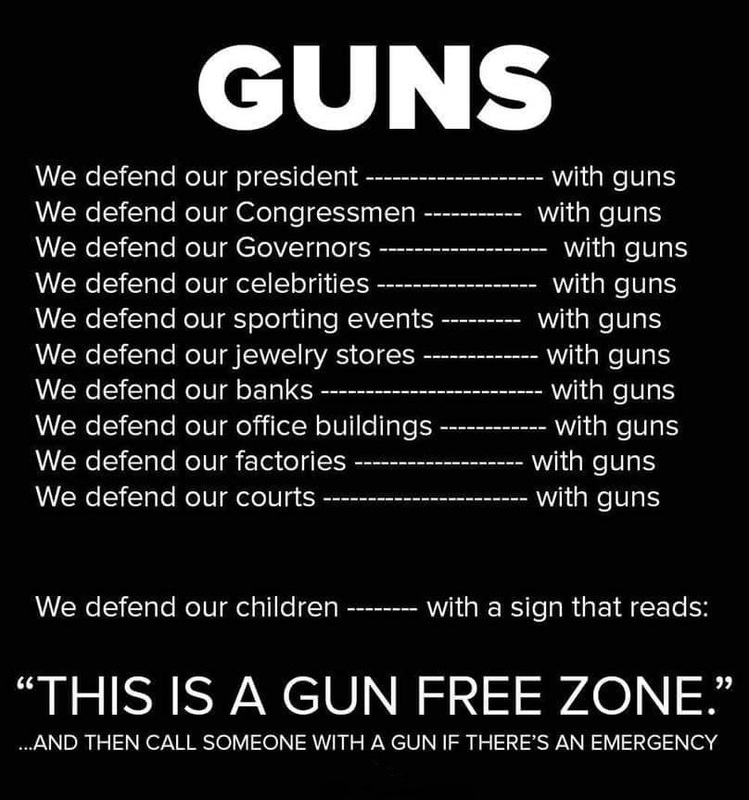 We need people willing to stand up and fight evil, and we need to arm them and put them in our schools to protect our most precious resource: our children. 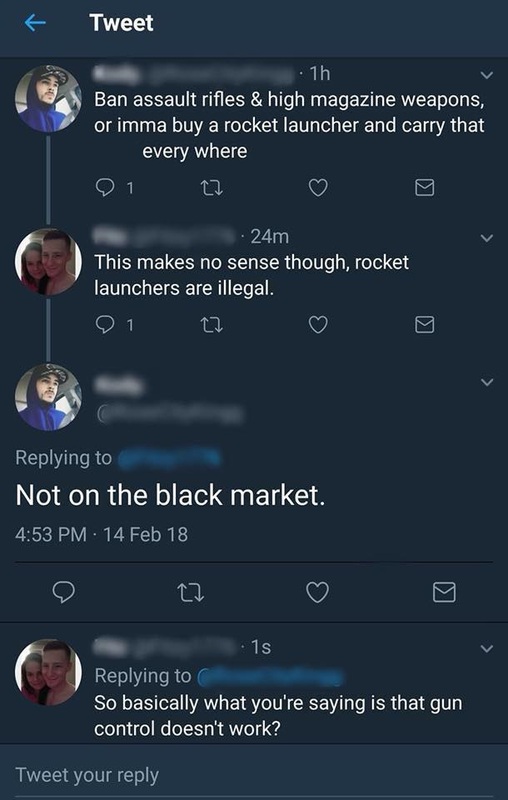 Note that illegal items are still illegal on the black market, but thanks for making that point so effectively. If you search this blog for nuclear energy, you'll see that I am a fan. I think it's the least bad solution to growing need for energy worldwide. That is, of all the power generation we have developed so far, nuclear is the safest, most containable and least polluting of any we have. Despite years of research and reading, I've never made the case as well as this fellow. If you have any interest, give it 20 minutes of your time. Here's a story about people fleeing the San Francisco Bay Area and California. California is losing population in State-to-State moves, but more than making up for it with illegal immigration. Of course, that's a losing equation. Established, hard-working people are required to run California's massive welfare state, so losing people and families who are doing the heavy lifting will make California's system unworkable in time, and the other 49 states may object to a Federal bailout of the State's terrible policies. [Carole] Dabak cites crowding, crime and politics as the reasons for her own exodus. For those leaving, here's an important tip: If you don't like it here, don't vote for the same policies in your location. Maybe you weren't part of the problem, but if you voted for the party in power and the policies they favor, maybe you need to rethink your choices given that the outcome made you flee the State. In a related thought, dear immigrants, you fled your countries of origin for a reason. Please don't make the U.S. into what you left. For those staying in California, it's time to rethink your votes. What has been done in California isn't working. The only reason it has for years is that many very lucrative businesses that paid for the policy mistakes of this State needed to stay in California to do what they do. In a world of instant global communications, that simply isn't necessary any longer. New Silicon Valleys are springing up in less taxed and regulated states and will continue to do so. It's time for a voluntary change in California before bankruptcy forces one. This past week SpaceX did a test on its new Falcon Heavy rocket. It is insanely cool. They've done something incredible beyond simply sending a car past Mars into the asteroid belt (eventually). For those who missed it, the most impressive part is probably the landing of the two boosters. The guidance software appears to be flawless. SpaceX is doing something truly magnificent. They are bringing back the wonder and excitement of space exploration. When I was young, the space shuttle program was new. We read about it in class in the Weekly Reader. It was exciting. We were doing new things, we were learning new things and we were developing new materials and technology. Critics of spending money on space exploration (and their arguments have merit) got to see new, useful things come out of research efforts that allowed us to get a clearer picture of our universe. Over time, perhaps to maintain relevance and funding, NASA seems to have become a propaganda arm of the global warming movement. They keep declaring each month the hottest on record, and then often go back and revise the finding later (but the initial headline is what people remember, not the correction). To be fair, sometimes it really is the hottest month on record, but the overall effect has been to undermine the credibility of NASA research, at least among those of us actually paying attention. SpaceX isn't a propaganda arm of anything except maybe Elon Musk. What the space shuttle program got wrong, SpaceX is getting right. SpaceX is lifting things into orbit (and eventually beyond) much less expensively and safely than NASA has. It turns out, private industry trying to make a profit has to be efficient and avoid liability. All in all, SpaceX is proving something I have suspected for a long time. There is nearly nothing private industry (yes, even with a few subsidies) can't do better than government bureaucracy. For students of bureaucracy, that should come as no surprise. For me, the biggest impact is still the excitement. My child watch that landing the same way I watched shuttle take offs and landings, awed by how cool it was. At the end, we all cheered. Thanks for bringing back the magic, SpaceX.